Published on July 8, 2016 , by Admin02. For the past three years, Al Qalam Institute has always been a partner organization of Peace and Equity Foundation (PEF) in research studies on Islamic Finance with the general objective of helping uplift the economic conditions of the Bangsamoro people. On March 21, 2016, Al Qalam Institute and PEF have organized a Consultation Meeting with Bangsamoro Development Authority (BDA) and ‘Ulama Leaders held at Cotabato City. The consultation meeting aims to establish a strong working relationship with the BDA, PEF, and Al Qalam partners. The consultation gathered identified ‘Ulama from Bangsamoro areas who are experts in Islamic jurisprudence and knowledgeable in Islamic economics. The consultation meeting also widen the network of the proposed National Ulama Advisory Council on Islamic Financing that was initiated by Katiakap Incorporated. It was participated by eight (8) BDA officials, and twelve other ‘Ulama leaders and key Government and CSO leaders. 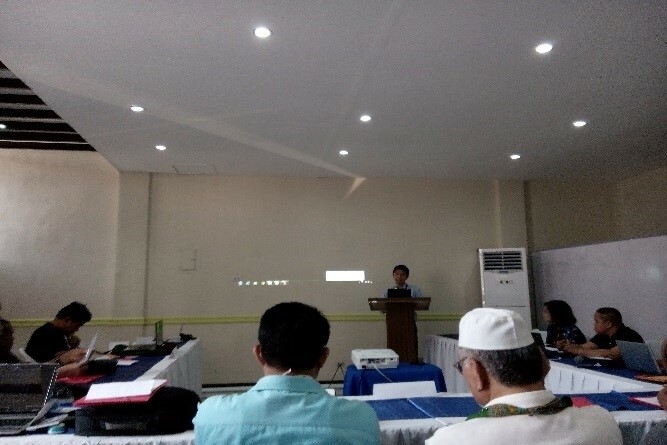 Al Qalam Institute Director, Datu Mussolini Sinsuat Lidasan discussed the basic principle and concept of Islamic Economic System while BDA Director, Dr. Mohammad S. Yacob presented the BDA Plan on Islamic Finance. A situationer is also discussed by Director Lidasan on behalf of the Al Amanah Islamic Bank of the Philippines. Grand Mufti Abu Huraira Udasan presented the roles of religious leaders on Islamic funding. And during the open forum, the Bangsamoro Leadership and Management Institute thru its Director, Sheikh Mahmod Ahmad, shared its perspective and institute agenda on Islamic Finance. Open space workshop through Appreciative Inquiry was tooled during the afternoon session. The workshop aimed at creating a derived result on what are the roles and compositions of a Shariah Board, who appoints them, and the groups’ recommendations on the milestones of the Shariah Board. Among other recommendations, the group strongly recommend that organizational development must be established, partnership with other substantial organizations or government offices must be strengthened and lastly, close monitoring and evaluation must be conducted.